Bright & done right. Our encapsulation system utilizes only the best products, like durable poly moisture barriers and rigid foam wall insulation. The result is a clean, safe crawl space that's protected from pests and harsh weather. If you're experiencing cold floors above your crawl space or high energy bills, failing insulation or lack of proper insulation could be to blame. 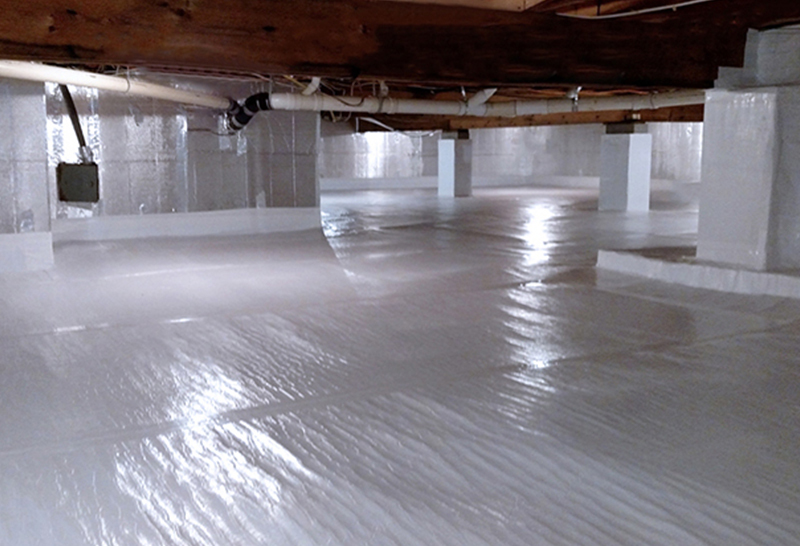 Insulating and encapsulating your crawl space can help solve moisture and comfort problems. Our proven crawl space encapsulation system utilizes materials designed for tough crawl space conditions. For example, at Foundation Systems of Michigan we insulate crawl space walls with durable, moisture-proof EnerLoc® panels that will never degrade like fiberglass batts can. Contact us for a free crawl space inspection today! We serve Livonia, Ann Arbor, Saginaw, Traverse City and many areas of Michigan. Everyone knows that insulation is important because it helps homes to be more comfortable and energy efficient. But there’s confusion about what type of insulation to use in different parts of a house. For example, many people assume that a crawl space should be insulated with fiberglass batts, installed between ceiling joists in the crawl space. Unfortunately, this “old-school” strategy can eventually do more harm than good. Fiberglass batt insulation needs to be installed in a dry, enclosed space. In a moist crawl space, batt insulation can get wet and heavy, eventually ending up in a mess on the crawl space floor. Even when it stays in place, batts make a comfortable and protected home for rodent and insect pests. Who wants a wet, messy, under-house area that attracts all kinds of critters? To avoid the unpleasant conditions mentioned above, building scientists (the experts who study how buildings perform) recommend that crawl spaces be encapsulated. This process seals off the crawl space from exterior conditions (and pests), and also insulates crawl space walls. The result is a clean, dry buffer zone beneath your living space. We use a superior thermal insulation and crawl space encapsulation product called VaporLoc Elite® to transform the crawl space into a dry, clean, useable storage area. 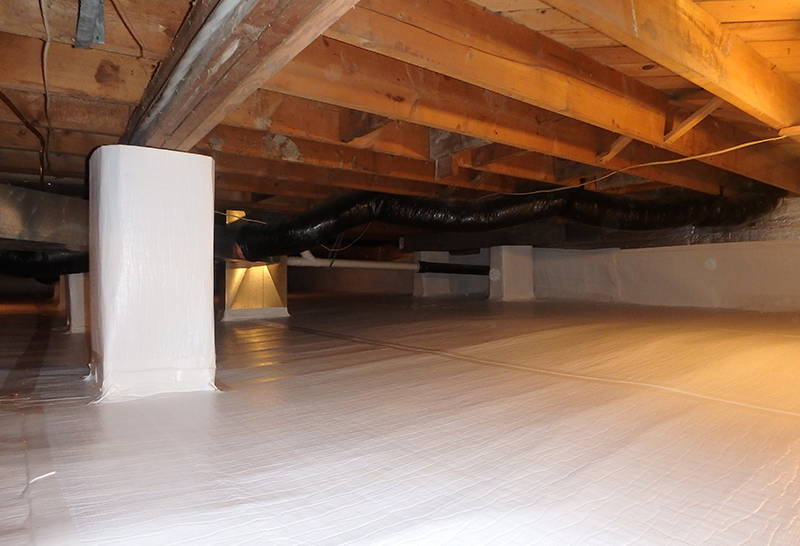 While you're thinking about insulating your crawl space, you should also consider encapsulating the space. R-15 - Much higher R-value than fiberglass batt insulation. Won’t compress, lose R-value or fall out of place like batt insulation can. Will not absorb or be damaged by moisture. 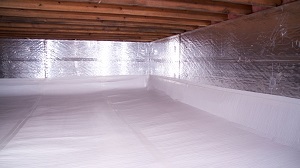 Foil facing provides a continuous radiant barrier for additional energy savings. Do it once & do it right! When our technicians install EnerLoc® Wall Insulation along with other encapsulation materials, your crawl space will be an asset rather than a liability –a clean, dry & sanitary area that’s safe rather than scary. Call Foundation Systems of Michigan or contact us online for an estimate for EnerLoc® crawl space wall insulation! We offer a state-of-the-art crawl space sealing solution to transform your damp, nasty crawl space into a dry, healthy, usable space. Save Money By Insulating Your Crawl Space Today!